1. The back material of hand is made of Lycra cloth and has breathable and quick dried performance, and can stretch fully. 2. The design for the finger rope is more personal. User can pull out the gloves easily and quickly. 3. Three silicone mats of the palm are 3mm thick which has shockproof and anti-slip functions. It can ease the impact of device. 4. 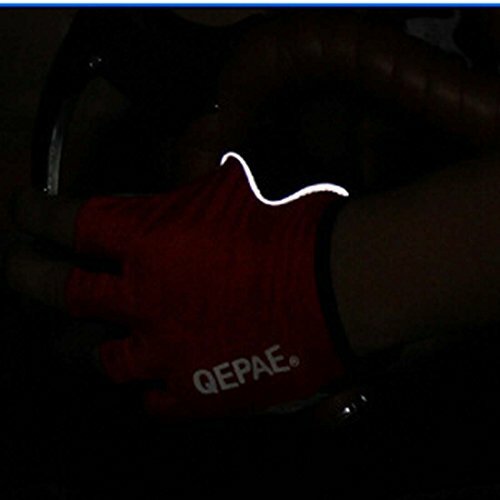 The biggest feature of this kind of gloves is that there is a led reflective line for the side of gloves. It can only reflect the light when there is light. It can make your riding safer. 5. The grey material of the palm is made of microfiber fabric which has wear-resistant function. 6. The small holes on the fingers and palm is good air permeability. M 7-8 CM 2.76"- 3.15"
If your hands are too fat, we recommend that you select the larger size than usual size. SEE Special offers and product promotions below. BUY ONE GET ONE. Add Both To Cart. 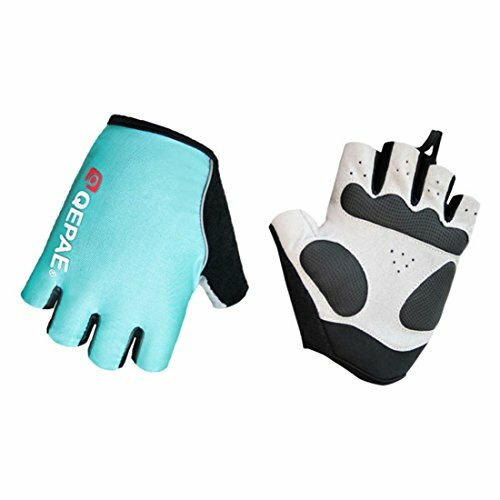 The gloves are designed specially for sports lovers.